Apple Valley Speech Team one of the top finishers at the 2016 Sunvitational Speech Tournament on January 9th and 10th in Fort Lauderdale, Florida! AVHS had 11 students compete at this national circuit tournament that represented 91 high schools from 20 states with over 1,200 entries. After competing in five preliminary rounds, 12 entries from AVHS broke into quarter finals and then 8 of those entries advanced to semi finals. 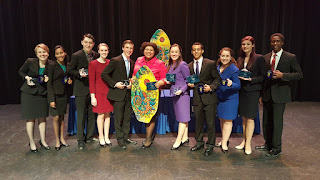 We especially want to commend our four entries that broke to the final rounds of competition: seniors Lauren Troldahl places 3rd in Dramatic Interpretation and Cassandra Edlund places 2nd in Dramatic Interpretation, seniors Stephanie Kahle and Moti Begna place 2nd in Duo Interpretation, and Cassandra Edlund also took 1st place in Program Oral Interpretation. Special recognition should be given to Cassandra Edlund's impressive tournament. She competed in 23 rounds of competition over two days! 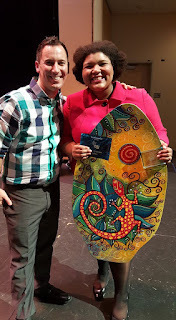 She finished 7th in Duo Interpretation, 2nd in Dramatic Interpretation, and 1st in Program Oral Interpretation. This marks Edlund's third straight championship in POI at a nationally recognized tournament. 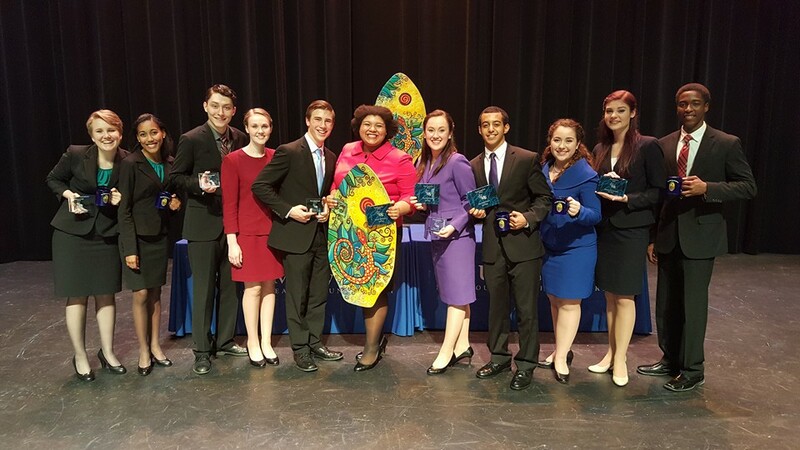 Congratulations to the AVHS Speech team!